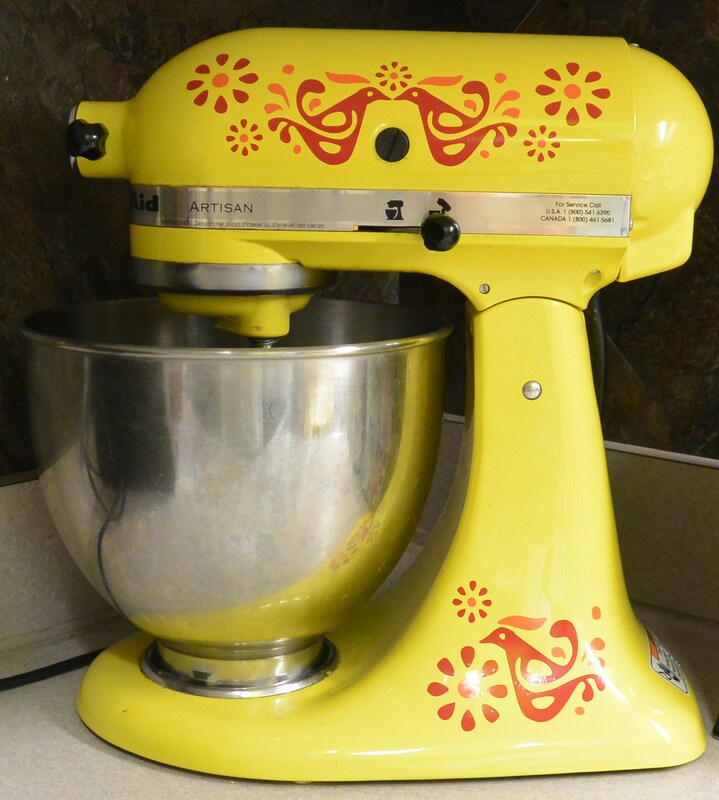 While browsing on Etsy for vintage Pyrex, I came across this item: Pyrex Amish Butterprint Vinyl Decals for your Kitchen Aid Mixer. I thought it was the coolest idea and even though I have some of the butterprint pattern, my KitchenAid mixer is yellow, so this wouldn’t have worked. 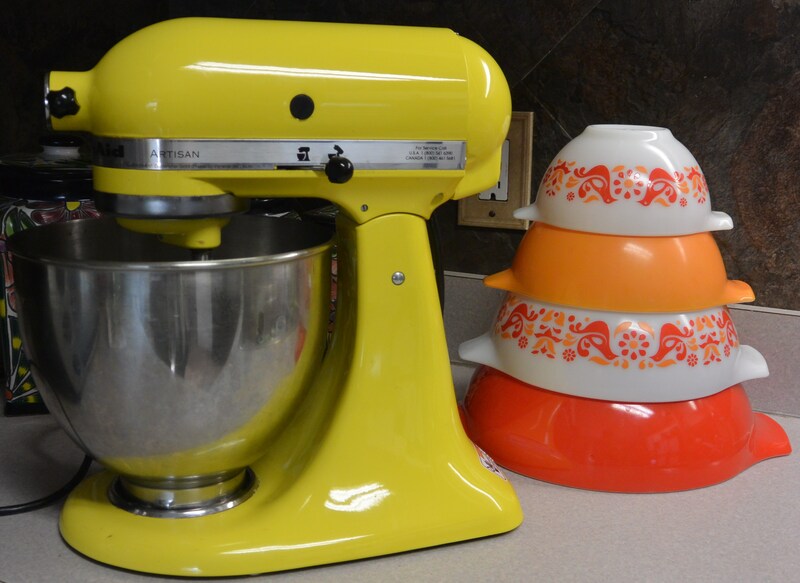 The Pyrex pattern I mainly collect is Friendship and I thought that would look divine on my yellow mixer. Of course I immediately purchased it and in less than a week it was in my mail box. That same afternoon I applied it. It was easy to apply, pretty much peal and stick. It took me more time cleaning the mixer to ensure an adhesivable surface. The vinyl seems to be high quality and her listing states it is outdoor durable for up to 6 years. This means it should last even longer in my kitchen. The seller offers different sizes and colors as well and is eager to please. I would definitely recommend this product. Are you curious about pyrex and pyrex collecting? You can find information on the History of Pyrex here. And here is an extensive Pyrex Pattern Guide.